Here are shock doubler brackets with hardware from an AEV high steer kit. 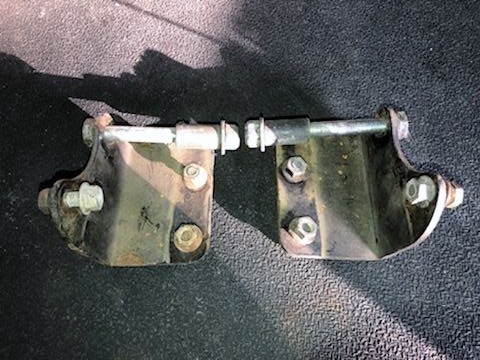 These front lower shock relocation brackets are in good used condition. They will fit 07-18 JK and JKU with a 3-4.5" lift. This may fit other models or years, please check your application. Used parts are expected to have some wear, surface rust, scratches, etc. Be sure to check out the pictures!